When I have the time, I take the secondary roads rather than the four lane highway. 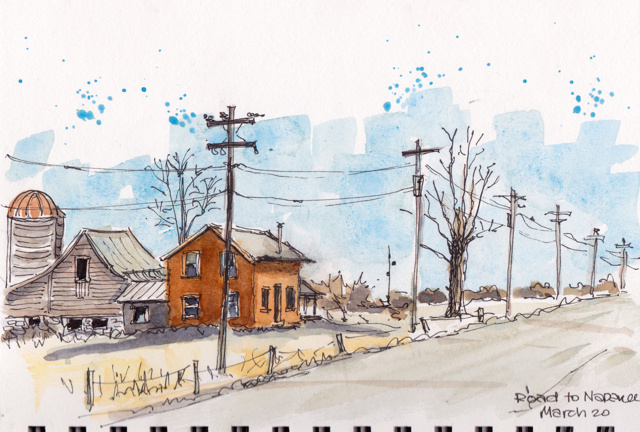 I love to see the countryside and the architecture of small towns. This past Sunday, the last day we have had with any sun in southern Ontario, I was driving to the town east of ours to pick up my grandson. I left early so that I could sketch and I had enough time to do one sketch as I was parked on the roadside, and one in town, parked in a vacant parking lot. I forgot that I had non-permanent ink in my Sailor pen, so it caused some smudging and running…but here they are…a document of my morning en route. 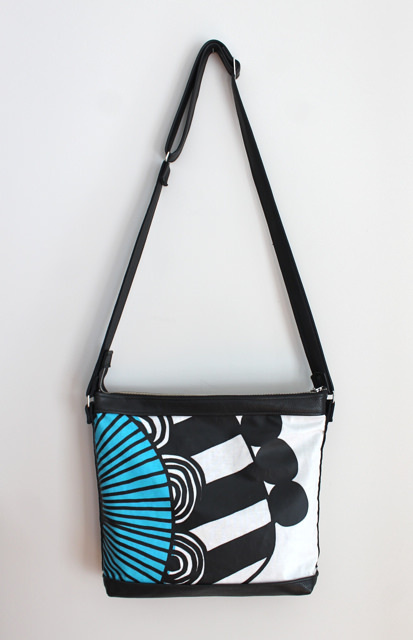 I promised a medium sized tote in the Siirtolapuutarha pattern in coated cotton and here it is. This one is 15″wide, 13″ tall and 4″ deep. 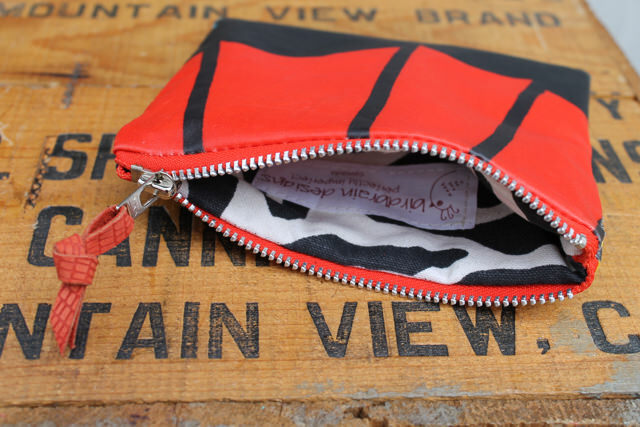 It is lined in black cotton with a double leather pocket for your phone and keys and a zip/slip pocket for valuables. 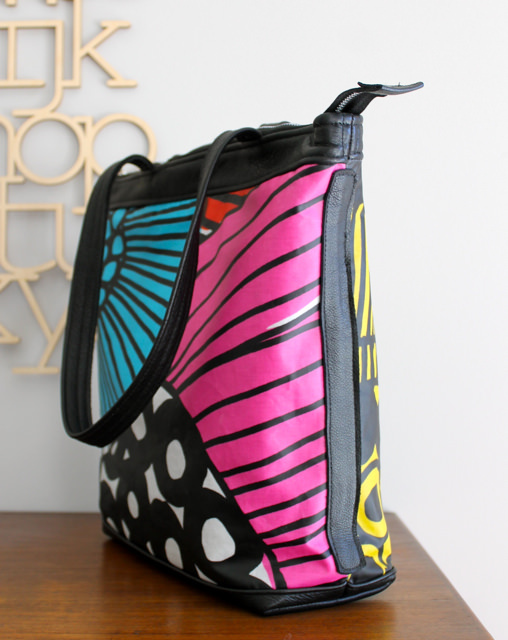 It has a durable metal zipper and is trimmed in black leather, both recycled and new. 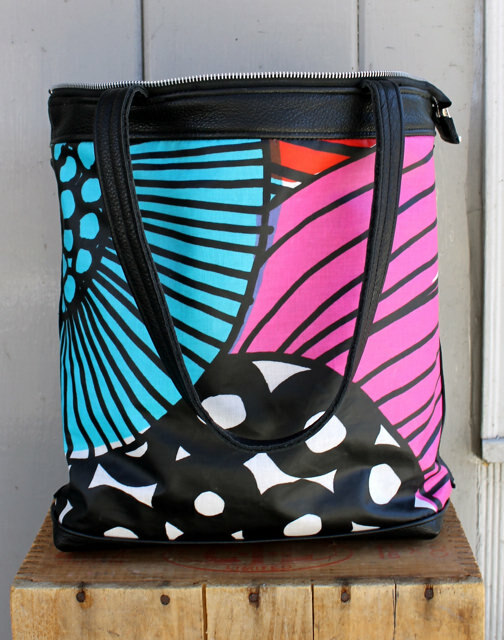 This is a perfect day bag–it will hold an ipad, a novel and other essentials. The straps are double leather with a comfortable 10.5″ drop. 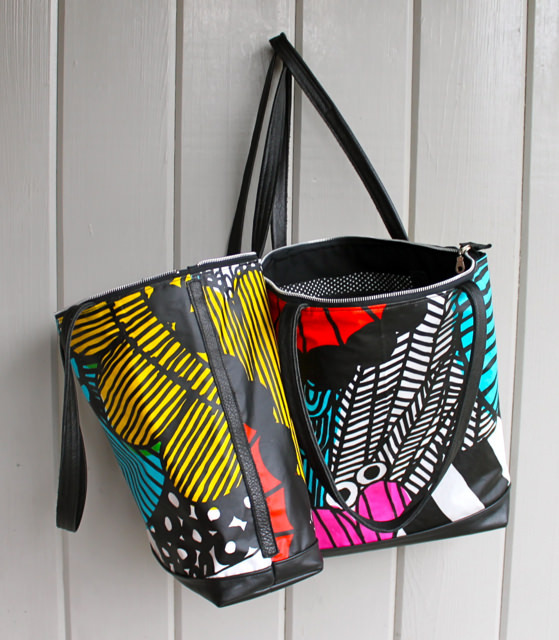 And this tote packs such a welcome burst of colour on each side! Perfect for spring. This will be in the shop later today. One of my most enjoyable things to do is to save my favourite remnants and turn them into adorable pouches. Because they are remnants, I can only make a few. 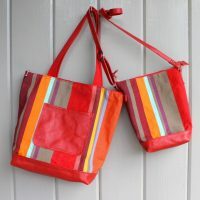 The first three are Marimekko red coated cotton lined with checked fabric from Amsterdam. 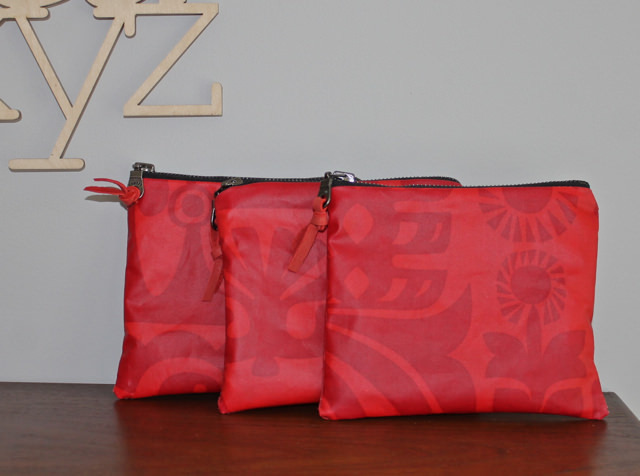 They are 6.5″ wide and 5.5″ tall with a durable metal zipper and leather pull. The second pair are made of the Sirrtolapuutarha pattern with zebra print cotton lining. The top images are one pouch, the bottom a second one. 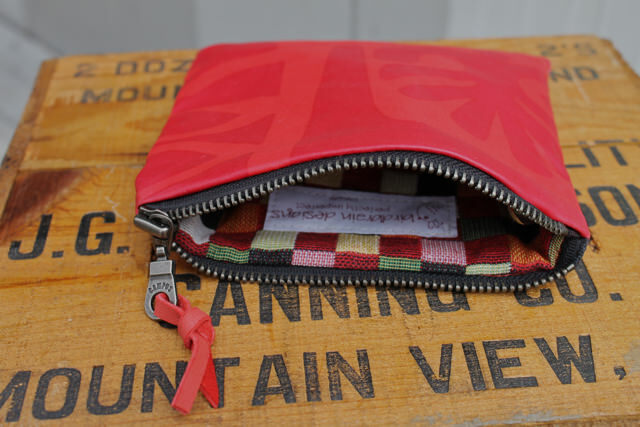 Each is 5.5″x5″ with a red metal zipper and leather pull. 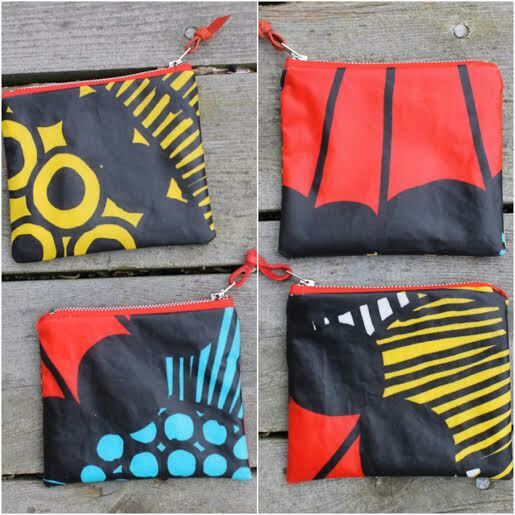 These pouches are great for the small essentials you want to keep separate in your big bag. They will be in the shop soon! 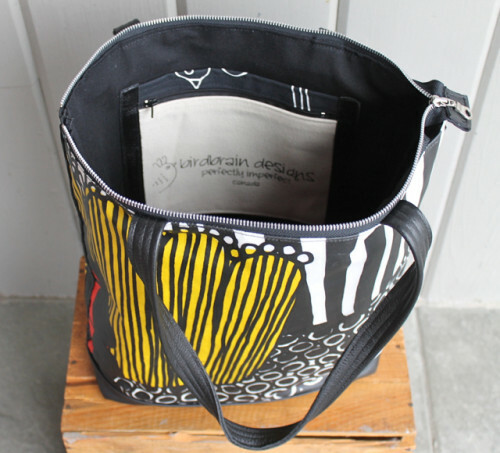 Here are two more Marimekko coated cotton totes, 17″ x 14″ x 5″. 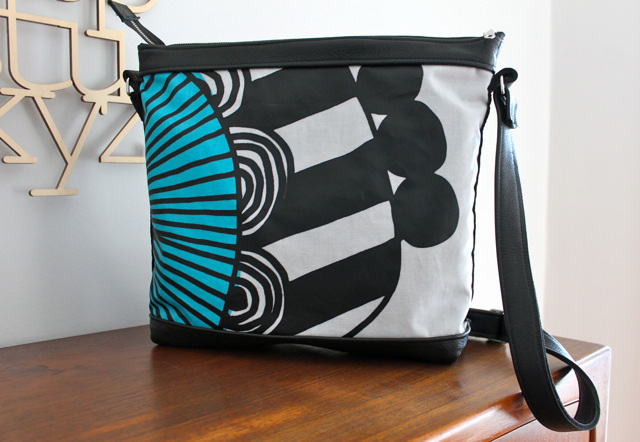 These were ordered after the original tote appeared on the blog. 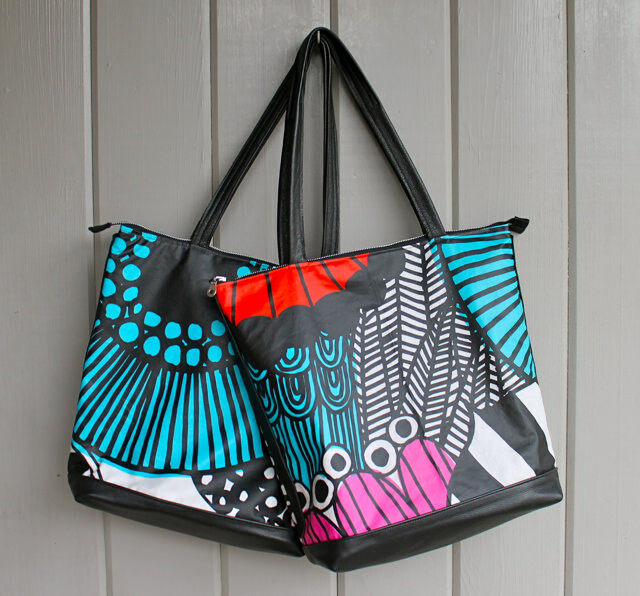 Keep an eye on the blog for two more totes in this Siirtolapuutarha pattern and a couple in a lovely waterolour print. If you are interested in one of the new ones, you can use the contact button on the right under navigation. Inside the totes have a full-width waxed canvas computer compartment with a knob closure. And you can see the red leather phone pocket peaking out. On the other side is a zip/slip pocket with birdbrain graphics. 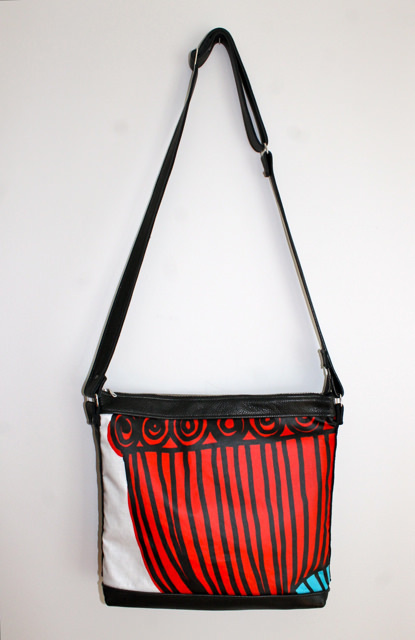 The leather straps have an 11″ drop and make for comfortable toting. 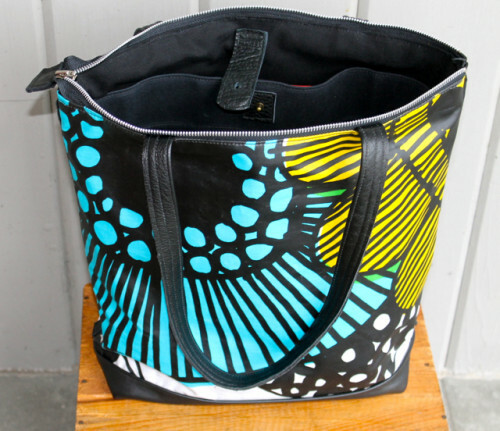 A great travel tote or an everyday tote for life’s essentials. 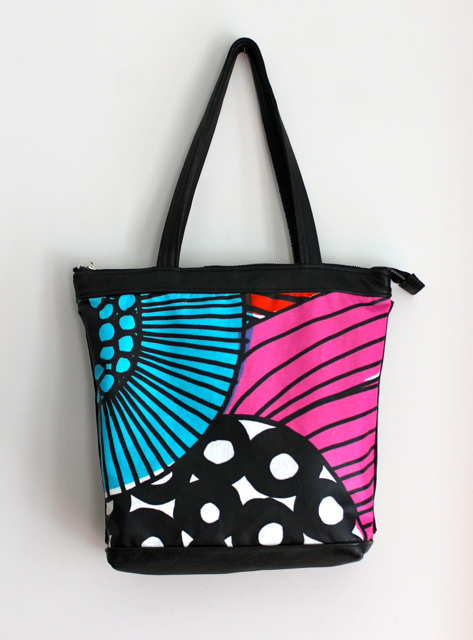 This bag is made of the same fabric you saw here, but this one is a smaller version with a cross-body strap. The brilliance of these Marimekko graphics is that they work large or small and each side of the bag provides a different colour punch. 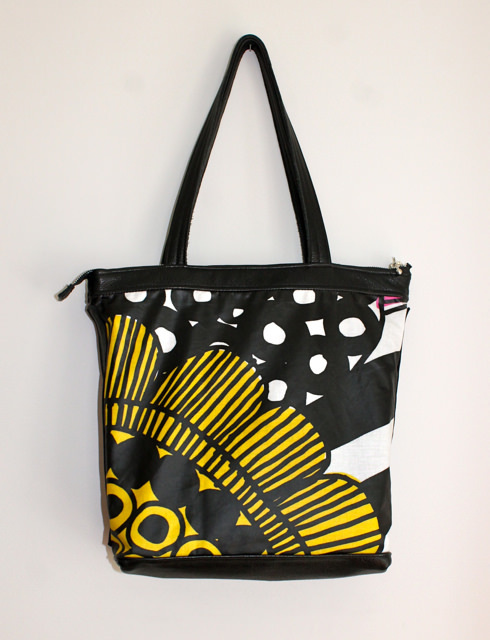 This particular bag is 14.5″ wide, 11.5″ tall and 3″ across the base. The leather trim is both recycled from a beautiful man’s coat and a new piece for the strap. Inside it has four pockets: two leather pockets for phone and keys and then two canvas pockets, one with a zipper. More views below. 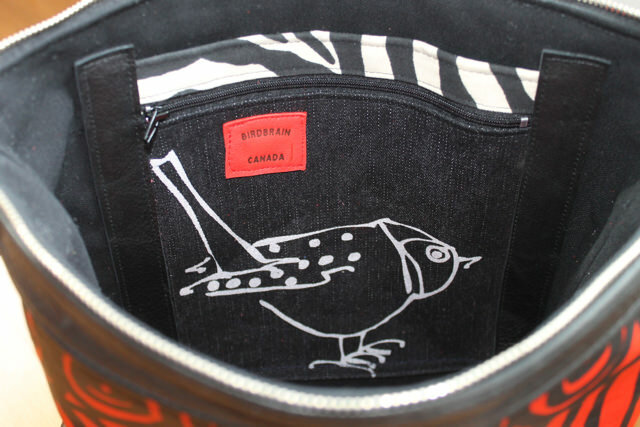 This shot shows you the interior canvas pockets with the birdbrain robin and for the first time, a leather label. I now have my own birdbrain branding iron, so all future bags will have an embossed label. Such fun! 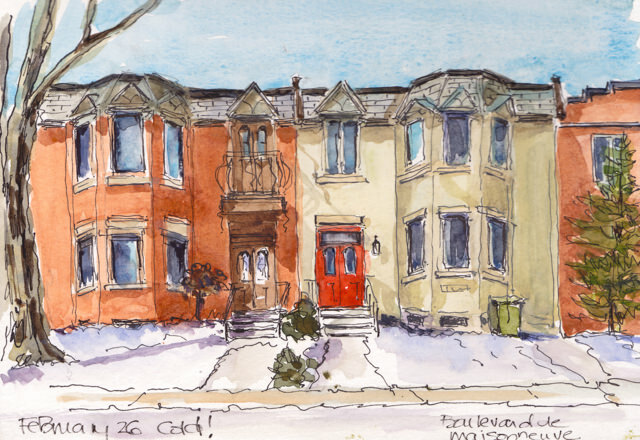 Here is another page from my sketchbook, a pair of houses on Maisonneuve. The week I was in that city it was cold and very icy underfoot. But the sun was out bringing the colours of the houses alive. 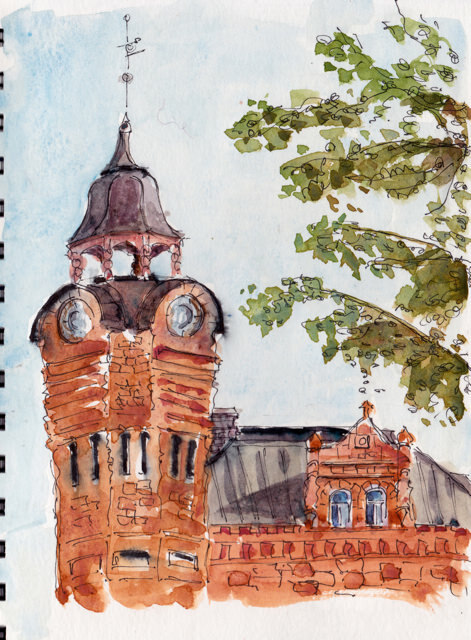 I was happy to learn that the Montreal Urban Sketchers were meeting on Sunday, my second last day in Montreal. I have never managed to get to one of their gatherings–and this one, at the Biblioteque Nationale, was very appealing as it is a beautiful building. In reading about it, I discovered that it is the most frequented library in North America! Once I got there, I could understand why so many people want to spend time there. Besides the magnificent collection, there were all kinds of spots to curl up and work. 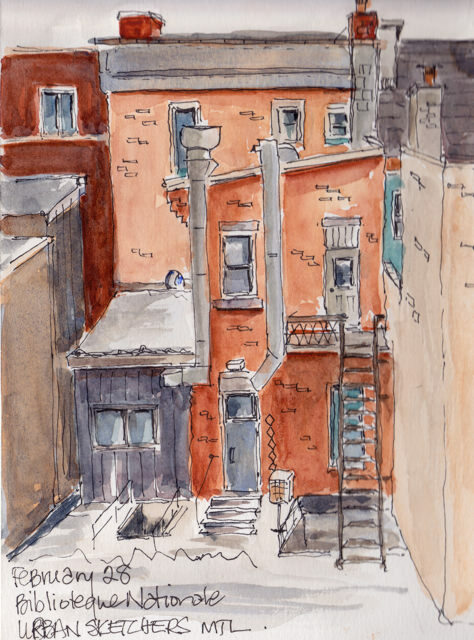 There were over thirty urban sketchers at 10:00 a.m. and we spread out in the comfortable chairs beside the huge windows with a view to the backs of the buildings on St. Denis. 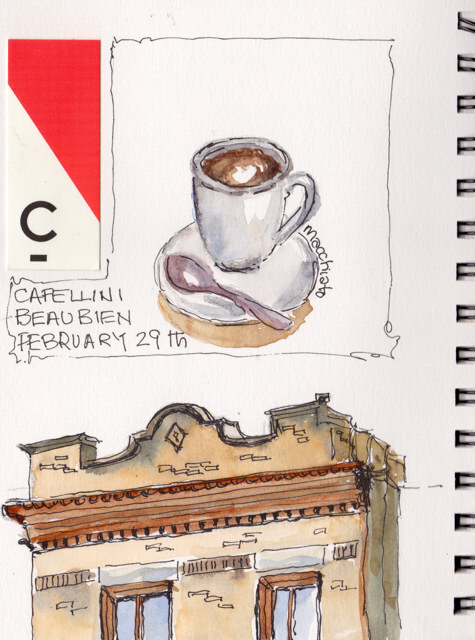 Yesterday I had a little time before my train so I sat in the window seat of a delightful tiny cafe and sketched my madchiato and the view across the street.